Bill’s first exposure to rugby began in 1973 playing for St. James Collegiate, in that year’s Manitoba Rugby Union inaugural high school rugby tournament. Bill went on to play high school rugby the following season in the first year of actual High School league play in Manitoba. 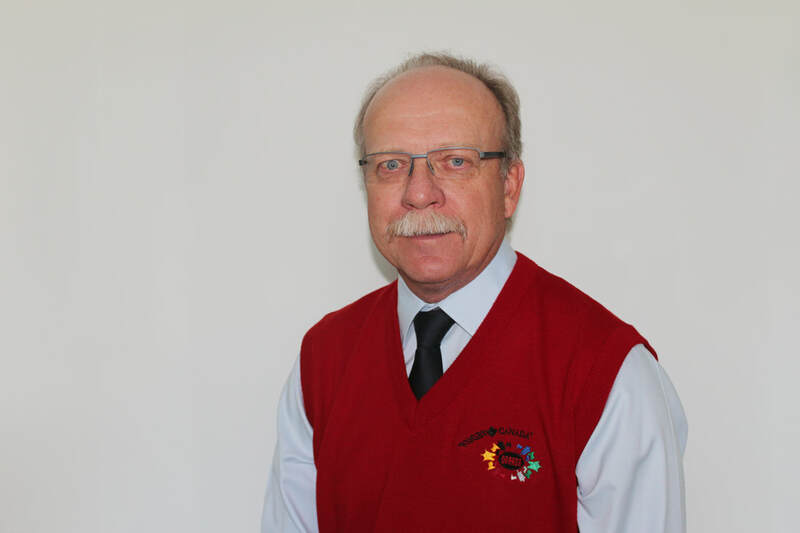 Upon graduation, Bill became one of the founding members of the St. James Zots Rugby Football Club, playing with them for ten years before the Zots were to amalgamate with the St Vital (Buccaneers) Rugby Club to form the Griffons RFC. Bill played for the Griffons for one season before moving on in 1986 to play another 5 years with the Wanderers RFC; winning Premier Division Provincial Championships in 1987 and again in 1989. An accomplished and skilled player, Bill was to see action with the Manitoba Provincial Sr. Men’s team for 10 seasons. During his last 2 years of playing, Bill was encouraged by Colin Gibbs to give refereeing a try. Making the switch, Bill refereed for 15 years within Manitoba. His abilities were quickly recognized and Bill was placed on the Canadian Rugby Unions’ promising referees list for a period of seven years before he voluntarily decided to step down. Bill refereed a number of national and regional championships while on this list; a highlight being his travels to New Zealand and refereeing a number of games there as a development opportunity. Aided by his high level playing experience, Bill’s officiating skills as well as his demeanor were respected by all who knew him. He was accomplished in the Laws of the game, he was fit, fair, and impartial and he didn’t suffer fools gladly. Bill’s move from player to the ranks of officiating at that time was to open the eyes of many players thereafter to consider the same path as a means to giving back to the game. In addition to his contributions and accomplishments as both a player and a referee, Bill served as President of the Manitoba Association of Rugby Referees and served a 2 year term as Treasurer of Rugby Manitoba.